Barbie and The Secret Door Princess Shoes Only $3.63 (Reg. $11.99)! You are here: Home / Great Deals / Amazon Deals / Barbie and The Secret Door Princess Shoes Only $3.63 (Reg. $11.99)! If you have Barbie in your life, check out this great deal! Right now on Amazon you can get these fun Barbie and The Secret Door Princess Shoes for only $3.63! Pleases keep in mind that these area n Add-on items so you must check out with at least $25 in your cart. 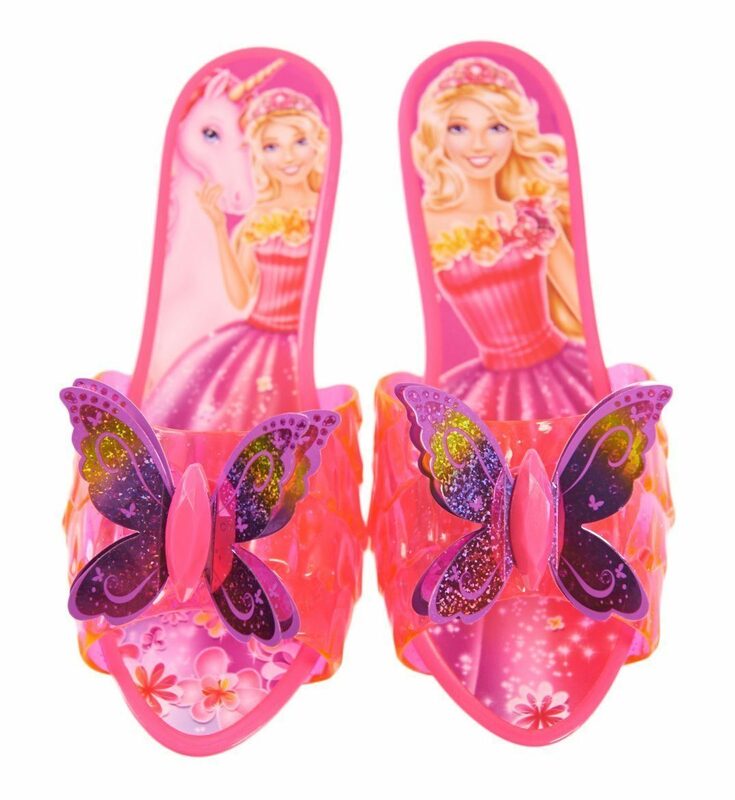 The Barbie Secret Door Fluttering Shoes include butterflies that bounce and flutter when a little girl walks for an extra detail of magic. The Secret Door Fluttering Butterfly shoes are a perfect complimentary item to the Secret Door Dress (available separately). Clear upper is decorated with fun embellishments and sparkles. Each foot bed displays a picture of Barbie. There is a textured outsole that offers extra traction. Wipe to clean. Butterflies bounce and flutter while she walks!